"Beauty and the Beast" emerged from a long line of Animal Bridegroom tales in France around the 1700s. Some sources credit Madame de Beaumont as the author of the tale, but her version is heavily influenced by other stories that preceded her. In a tale that revolves around marriage ideals, it's a story that can be very personal, and the lives of the authors influenced their versions of the classic fairy tale. At the young age of 15, d'Aulnoy was married off to a man notorious for a reputation as a gambler and extramarital lover. She took some lovers on the side herself, but it was a very unhappy marriage. d'Aulnoy attempted, later in life, to have her husband hung for high treason, but the attempt failed; her husband retaliated by charging herself and her lover. She fled to Paris where she became a successful writer. d'Aulnoy wrote several fairy tales, but her Animal Bridegroom tale, "The Ram," ends tragically, with the Beast figure/Ram dying of heartache just outside of the castle gates, where his wife was attending his sister's wedding. d'Aulnoy wrote other stories with happier endings, but it's interesting that her attempt at killing her actual husband found outlet in this story. She certainly wasn't naive about what could happen in marriage when she penned her version of this romantic line of fairy tales. Jean-Paul Bignon was a priest and a scholar. Perhaps not surprisingly, the emphasis in his Animal Bridegroom tale seemed to be on sexual restraint; King Leopard spends every night in bed with Princess Zeineb but does not touch her, while the villains attempt to have one night stands (but are hypnotized by Princess Zeineb into doing monotonous tasks through the night instead-although the other "morals" in this tale seem a little more arbitrary, that scene is very humorous). Jack Zipes estimates that it was very likely Villeneuve knew this story. Interestingly, in her version, there's an episode that was removed later by Beaumont, in which after Beauty accepts the Beast's proposal, there's basically a repeat of the initial bedroom scene from Princess Zeineb-the Beast comes in to bed, lies down, but makes no move. 1740-Madame de Villeneuve's "Beauty and the Beast"
It's difficult to find much information on Villeneuve, even the very excellent books exploring the tradition of Beauty and the Beast by Betsy Hearne and Jerry Griswold gloss over her life and version of the tale and instead focus on Beaumont, which is a shame in my opinion. Villeneuve certainly borrowed from tales like the ones above, but she clearly created the story we know of today as Beauty and the Beast, so knowing more about her would seem to shed more light on the tale. Villeneuve was married at 21 but requested a separation after only 6 months, because her husband was squandering all of their wealth. Just a few years later, at the age of 26, she was widowed. She lost her fortune and had to work for a living. She lived with a boyfriend for the rest of her life and worked as a writer, a lifestyle virtually unheard of for the time. Her version of the story set up the essential details we associate with the BATB tradition, with lengthy descriptions of what went on in the castle and detailed backstories included for the Beast and Beauty that tie together all the details. One emphasis of the tale was on marrying for kindness and not looks, wit, or class. Having experienced two significant relationships, Villeneuve had more perspective on what helped relationships work better in the long run-character and equality. 1756- Madame LePrince de Beaumont's "Beauty and the Beast"
Beaumont, like Beauty in her tale, was very well educated. She (like the women above) also entered into an arranged marriage with a womanizing man, and the marriage was annulled after 2 years. Beaumont moved to England and became a governess, also writing more than 70 books. 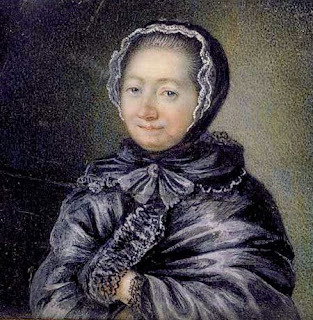 At the age of 51 she returned to France and remarried, this time resulting in a happy marriage. Beaumont simplified Villeneuve's longer story to create the beloved classic (without giving any credit to Villeneuve, incidentally). Her version (as well as Villeneuve's) empowered the female to have choice in marriage, yet did not go to the extreme of most French salon writers whose characters were swept up in passion and love at first sight (more on this in my post Beaumont on Arranged Marriages). And of course, there are countless other tale tellers and audiences, whose life details we will never really know. How interesting, though, that in the French fairy tale salon period, perhaps the most influential versions of BATB were written by those on the outside of happy marriages (for most of their lives). Their stories contributed to the then-new idea of marrying for love and not just for social standing, and helped to make one of the most female empowered fairy tales that remains well known today. Jerry Griswold, "The Meanings of Beauty and the Beast: a Handbook"
Jack Zipes, "Beauties, Beasts, and Enchantments: Classic French Fairy Tales"
I remember the first time I found out that the Beaumont version was based on a longer version by Villenueve (which was about three years ago), and then how I spent about two months looking for a public domain text of it online. Honestly, I have the same problem with Villenueve's version as I do with "The Snow Queen;" it's WAY too long. I did like how there was an explanation why the Beast isn't so friendly to Beauty's father, but other than that, I pretty much fell asleep reading it. Maybe I'm just not patient enough. And sadly, I'm probably going to have to read it again when I start posting about it on my blog. I notice how some translations soften down the more "adult" aspects of the Villenueve version. I read somewhere that even the Jack Zipes translation has it softened. It makes me wonder if it was first revised in French and that's the version the translators translated. Is that possible? This is fascinating!! I'd probably be frowned upon by fairy tale purists for admitting this, but I have a soft spot for Beauty & the Beast, because Disney's adaptation has always been my favourite Disney film. 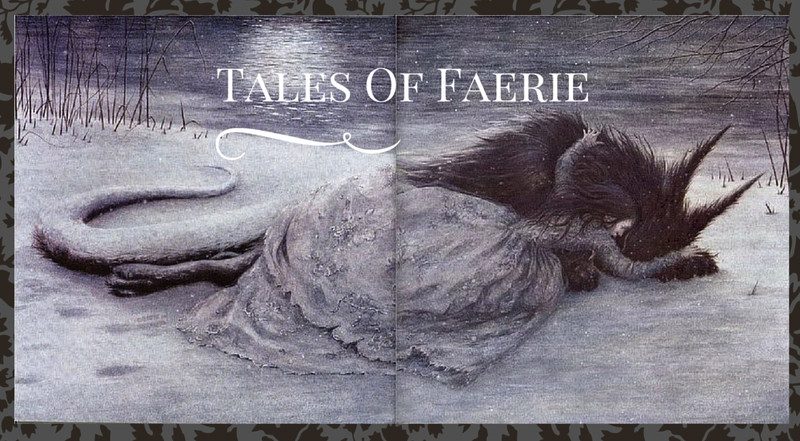 I'm very interested in learning more about the original fairy tale & haven't yet delved into the background. Thank you for highlighting Villeneuve's Beauty & the Beast, because thanks to a Norton Critical Edition of Fairy Tales by Maria Tatar, I'd been under the impression that Beaumont's was the earliest version! The sources you've listed are really helpful, too. I'll definitely consider them. One more BATB resource, if you're interested, is Betsy Hearne's "Beauty and the Beast: Visions and Revisions of an Old Tale." It was published before Disney's version came out but is a really great discussion of the fairy tale, including lots of significant but now forgotten versions! I'm happy you share my love for Disney! It's safe to say I wouldn't be so interested in fairy tale history without it. I'm kind of a purist, and I'm just fine with people preferring adaptations over the originals in some cases. There are even some adaptations of fairy tales that I prefer over the original. I like Disney's Beauty and the Beast better than the original because it's actually surprisingly darker, and feels just like a fairy tale. I also like Disney's Aladdin better than the original. I usually tend to be a purist, too. However, when you realize that the Villeneuve/Beaumont plot is not really the "original" anyway, but two women's takes on other similar literary and oral tales, they're no more original than the Disney version!